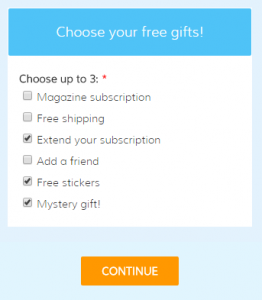 Posted on December 29, 2016 by Billy S.
There are times when form owners want to limit the number of selections or only allow a max number of selected choices. There are a few methods to set answer limits depending on the kind of items used and whether you want to limit a single question’s answers or multiple items in your form. For example, items that ask for multiple answers can frequently use the built-in min/max settings to limit the number of answers allowed. 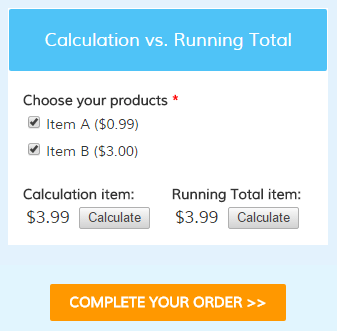 If you have a need to limit the number of chosen answers for other types of items, however, you will need to use another method. Posted on December 22, 2016 by Billy S.
The end of the year is the perfect time to perform some account maintenance and review your forms. Overall activity is typically slower for many people, and the year end is a convenient and memorable time to make changes. Posted on December 16, 2016 by Billy S.
The ability to give someone access to a Formsite account without turning over full ownership is a popular and useful one for many organizations. 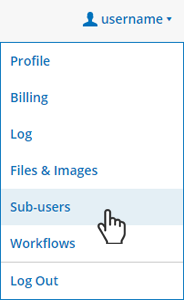 Whether there are multiple departments that share the account or clients who need the ability to see their forms without seeing others’, the sub-users feature enables all that and more. 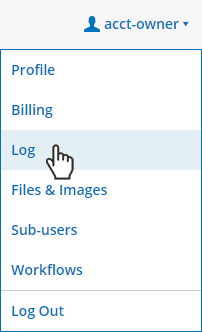 A sub-user is an account with access to the Formsite account, with permissions to access forms and results. A sub-user is not a visitor to your form. A sub-user is not a Save & Return account. 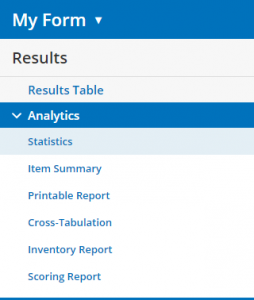 Posted on December 9, 2016 by Billy S.
The leading news in the latest release is the addition of a new analytics chart showing form visitor fall-off, which shows where in your form your incomplete results occur. This chart is available with forms containing multiple pages and shows the highest page your visitors complete. This is useful when optimizing your forms for maximum conversions and when troubleshooting high abandon rates or incomplete results. 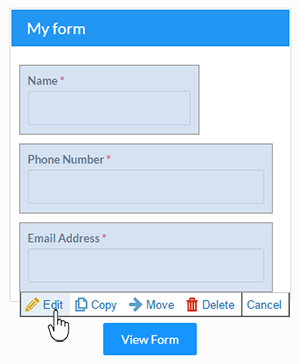 Posted on December 2, 2016 by Billy S.
Whether you’re new to Formsite or a veteran form builder, learning new form editor tips can help you create and manage your forms more efficiently. 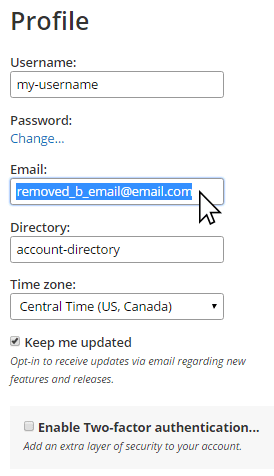 For example, did you know that you can add a new item to the next available position in your form with a double-click? 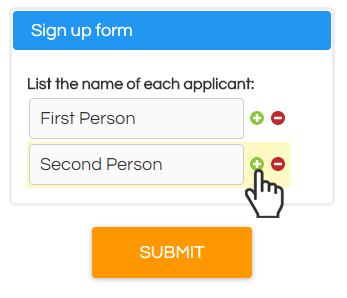 The drag-and-drop editor is useful for designing and editing your form, but nothing beats the double-click for adding items to your form fast. Posted on November 18, 2016 by Billy S.
Many forms have a need to support entering more than one name or block of information, whether it’s for a registration form, order form, or any information collection form. For example, signing up players on a team or event attendees needs to be able to capture a list of names and keep them organized under the primary result. 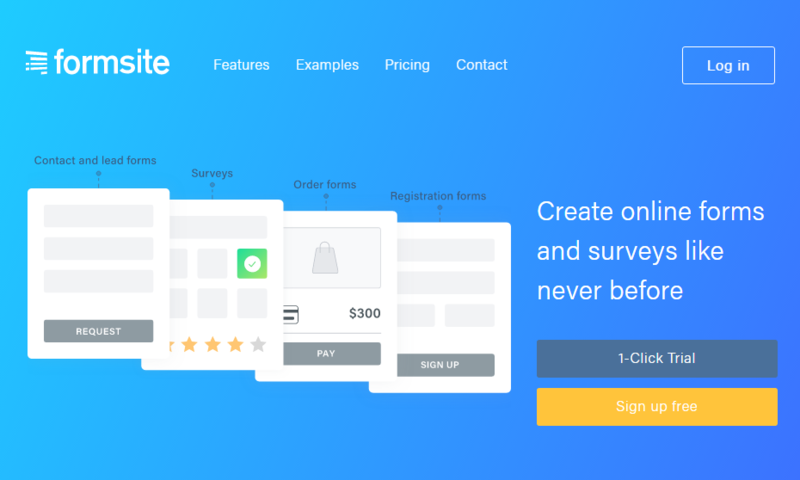 Here are some methods to allow visitors to add multiple answers to your Formsite form, along with some things to consider. Posted on November 11, 2016 by Billy S.
Posted on November 1, 2016 by Billy S.
The new redesign of Formsite.com is a great step for us as we continue to evolve. 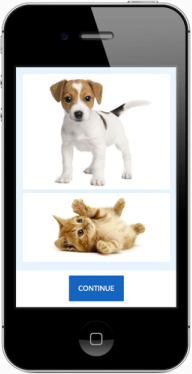 The site has been rebuilt from scratch to be fast and fully responsive for modern browsers and devices.